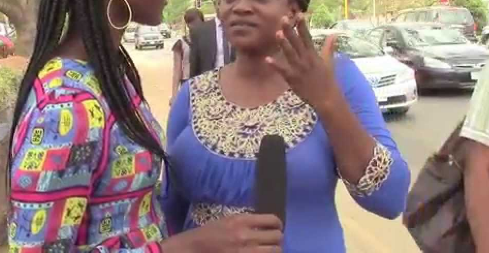 A woman, Ebun Efunkoya, at the weekend took to the social media to narrate how she was hypnotised and defrauded of over a million naira by a criminal syndicate operating in a tricycle. The unfortunate incident, according to the woman, occurred on March 22, near Eko Hotel, Lagos Island, where she boarded the tricycle en route to her office at Ligali Ayorinde Street. Ligali Ayorinde Street. A woman was already in the tricycle. A few seconds after, a man also entered, making me to sit in the middle. He later alighted at a bus stop not so far. He gave the driver dollar. The driver became angry, saying why should he give him dollar currency. Continuing, Efunkoya said at that juncture, she was becoming impatient with the driver as she was being delayed and only wanted to get to work, but the man asked her and the other woman if they could follow him to a Bureau De Change (BDC) to change the dollar note because he was scared the driver might dupe him. Oblivious of the trick, Efunkoya, who said she didn’t answer the man, however, answered the other woman, who tapped her and suggested that they should help the ‘foreigner’. “I told her that I was already late for work. Then the woman said she was also going somewhere, but that we should be Good Samaritans and good Christians. “I didn’t know when we passed my office. I later realised that I was at a market and then I got into a car and the rest is history. I did not go to work that Friday, as I spent the day with them. “A pastor came into the picture and started telling me specific things about myself, more like he was ‘prophesying’. He was quoting the bible, speaking in tongues, doing praise and worship. One thing led to another and I was swindled of N220,000 that Friday. “But did it end there? No. Still under whatever influence I was put, I got home that Friday/Saturday morning and started borrowing money from my friends like a mad woman. “I packed my jewellery and my mum’s jewellery, her cash at home and her Automated Teller Machine (ATM) cards. I left home and headed for Idimu in Lagos. “I got to them, they welcomed me, hugged me and the pastor said it was time to bless all I’ve brought and do deliverance. I was instructed to switch off my phone. "I discovered later that they had withdrawn over N460,000 from the accounts. They took my phone (iPhone X), wig, smart watch, jewellery and emptied my accounts,” Efunkoya said. She said she thereafter regained consciousness around 11pm on Saturday and borrowed a stranger’s phone to call her sister, thinking she was at Iyana Ipaja, only to discover that her location was farther. “She told me to get a cab and come home straight. I got home and everything was still like a dream. I later regained consciousness and realised that I had been duped,” the woman said. 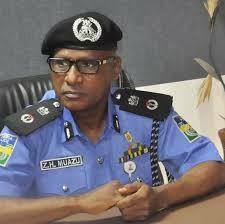 Police spokesman Bala Elkana said the incident was not reported at any police station.